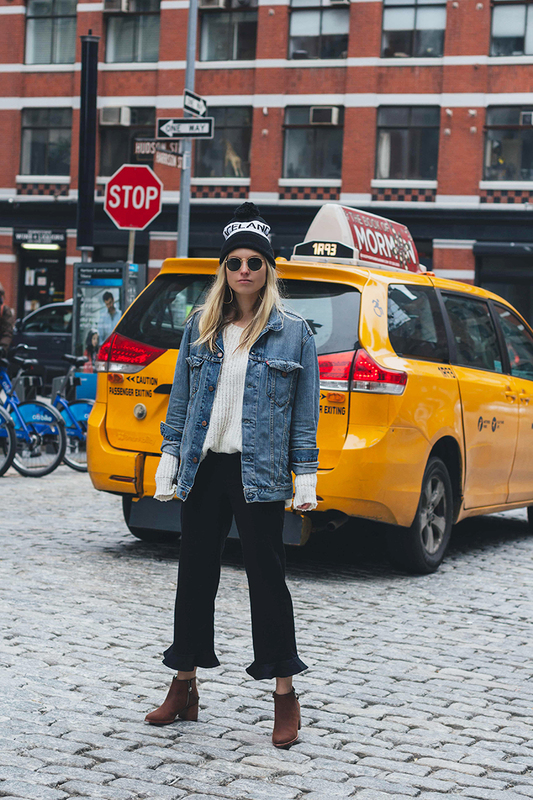 Well, if there ever was a 90s look to shoutout GnR, this is it. I always find the cycle of fashion fascinating, and I definitely would have worn this circa 1997, even though I was far more grungy at the time than what this ensemble conjures. In fact, I feel like this whole vibe is a proper marriage of the Craft meets Empire Records. The trick with trend revivals is to reference the era of choice by incorporating modern updates. Costumes aren't cute unless it's Halloween, honey. For example: my vintage 501s, dark lip and newsboy cap feel throwback, but my sweater and boots properly anchor me in 2017. 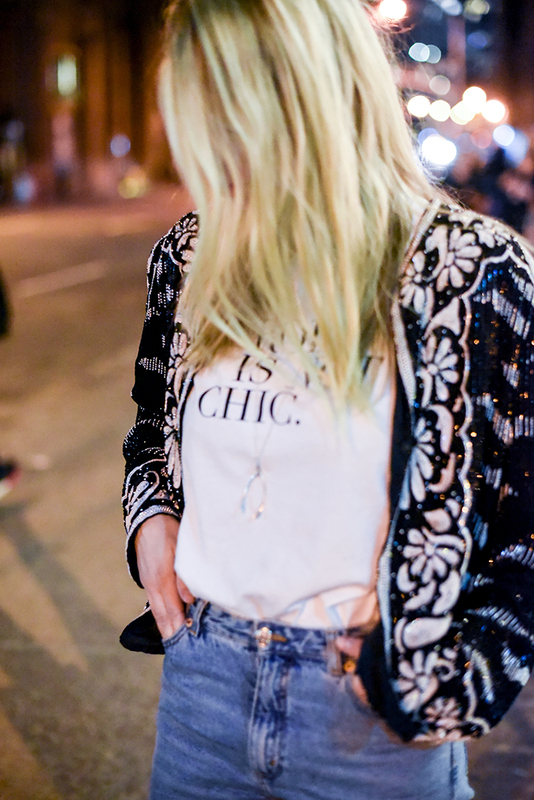 Got a favorite decade to pull inspiration from? If there ever was an important blog post, this is the one. You see my t-shirt? 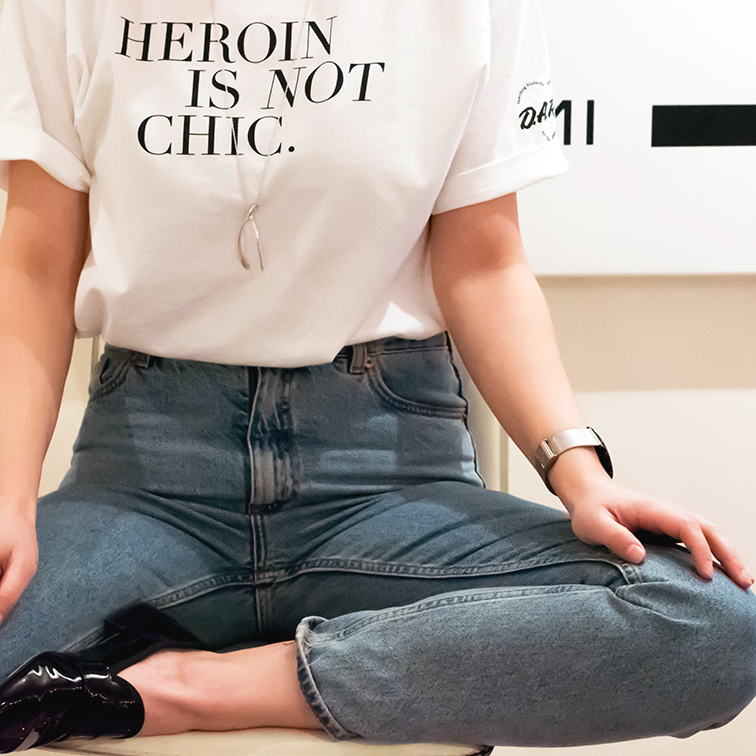 It says heroin is not chic. In fact, it's straight up devastating. Did you know that drug overdoses are the leading cause of accidental deaths in the US? The heroin epidemic picks up steam every year and has reached monumental proportions. If you're not personally affected by the opioid crisis, than I guarantee that you know someone who is. I feel privileged to have the podium to spread the word about this terrible thing that ruins not only the lives of those who fall victim, but that also destroys families and tears apart friendships. 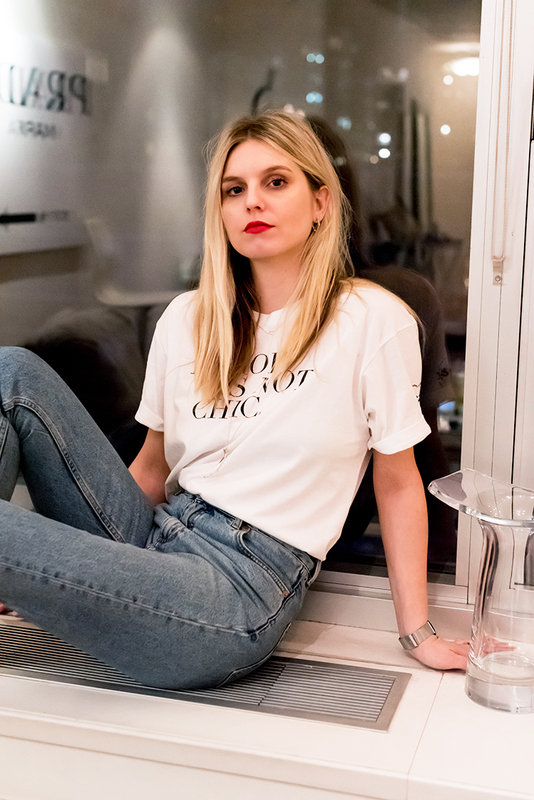 Support the cause by getting your very own (and very chic!) 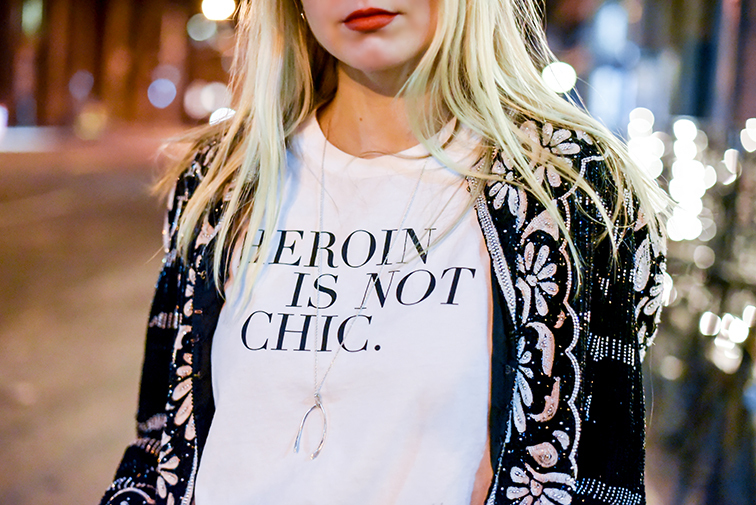 Heroin Is Not Chic gear, by donating, or by reading up on it and taking action. Because "there is no face of heroin, it faces us all." GET YOUR HEROIN IS NOT CHIC GEAR HERE. You guys, I'm about to blow your doors off with this beauty post today. Because I come bearing skin salvation on this frigid January day. We all know this to be true: one of the major universal skin woes experienced by every woman that lives in a 4 season climate is directly caused by cold weather. 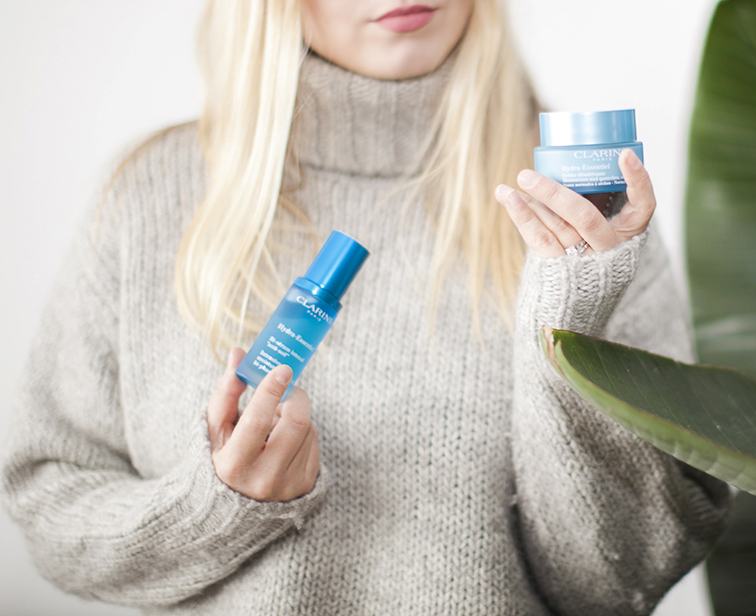 The wacky temperature plunges that occur once we get into the thick of winter can wreak serious havoc on a girl's complexion, especially so if you have sensitive skin like myself. And because I originally hail from the Great White North (that's Canada, fyi), I can unequivocally say that I've been dealing with this predicament for, well, all of my life. But first, let's get deeper into what the problem is. Dry skin. Ugh, I know - it's the worst. Rough patches, dehydration, dullness. I've been through it all. And let's not get into how things just kind of get worse as you age, not to mention that it's all amplified through air travel, something I do a lot of. But while it can be tempting to hit the panic button when the mercury throws in a few fun thermic shocks here and there, the key is to remain calm and find crisis mode remedies. And ladies, I have got the ultimate one - take that, Mother Nature. The one thing the skin needs in dire times like these is a solid cure that will turn into a long-term solve. 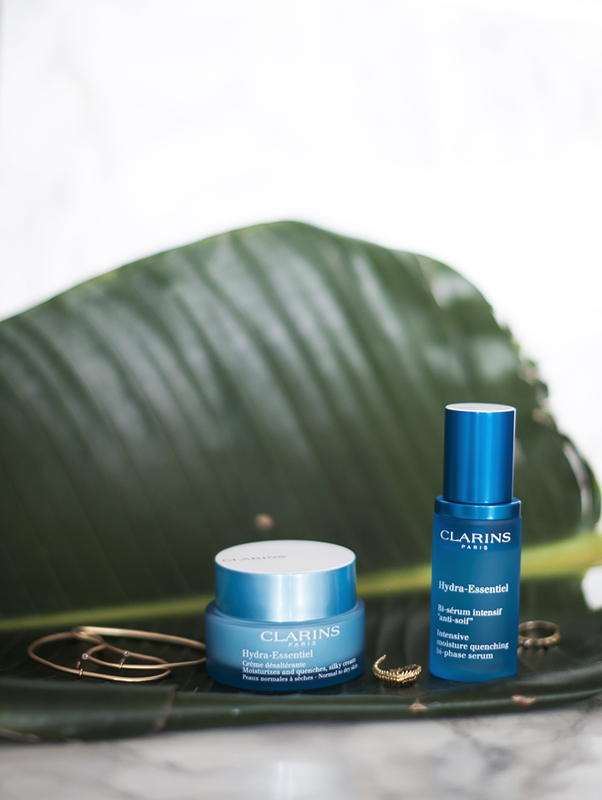 My answer is the Clarins Hydra-Essential moisturizer and serum set. 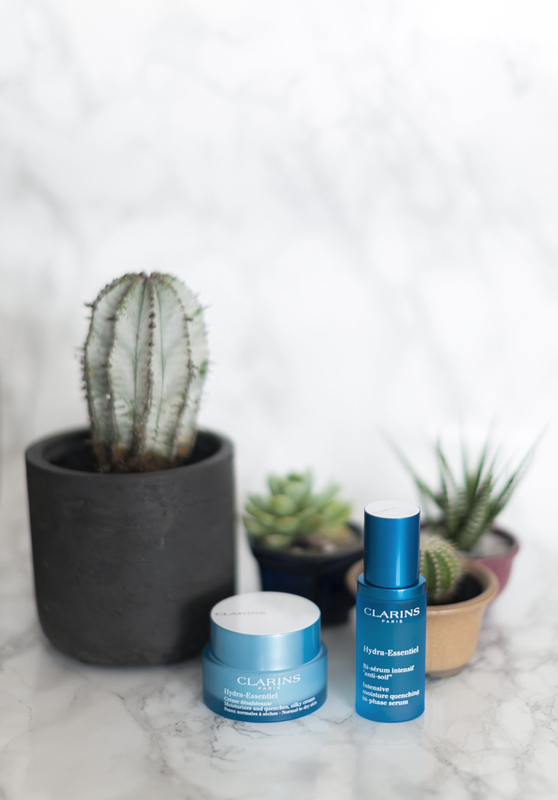 It remedies to all of the above thanks to its ability to activate the skin's natural hydration, as well as enables it to protect itself from all those insanely temperamental weather fluctuations. Not to mention that pesky pollution we expose ourselves to every single day, thank you New York City. 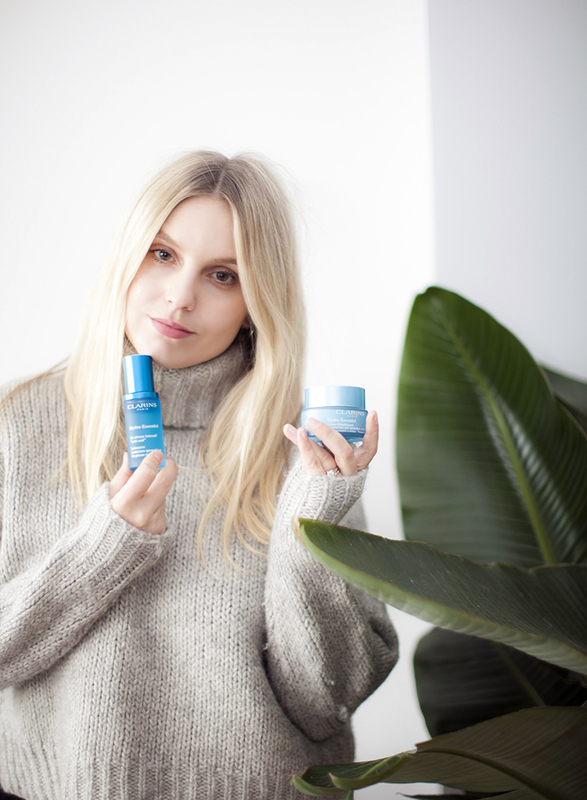 How's that for a major skin miracle therapy? Now pair that with all your new year's good intentions of living a healthy lifestyle, and you and your complexion are off to the races. 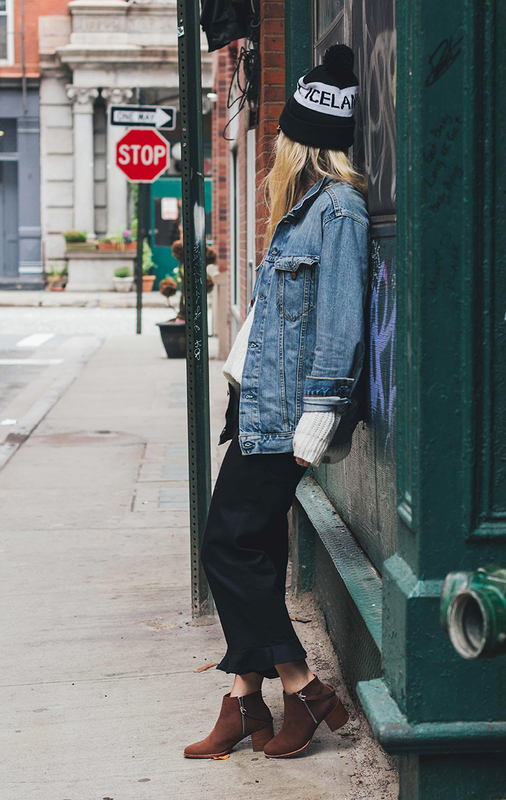 Last week I was introducing you guys to Matt Bernson, a Tribeca-based shoe brand. 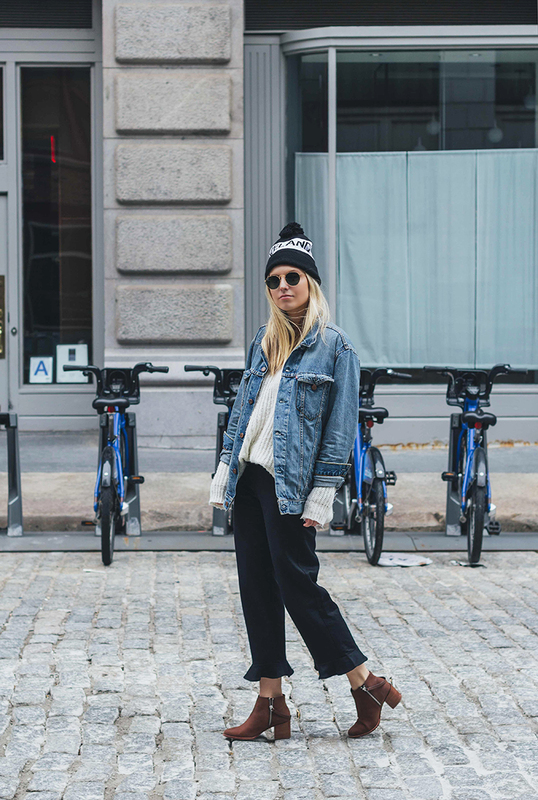 And as any shoe addict will tell you: one pair is just not enough. 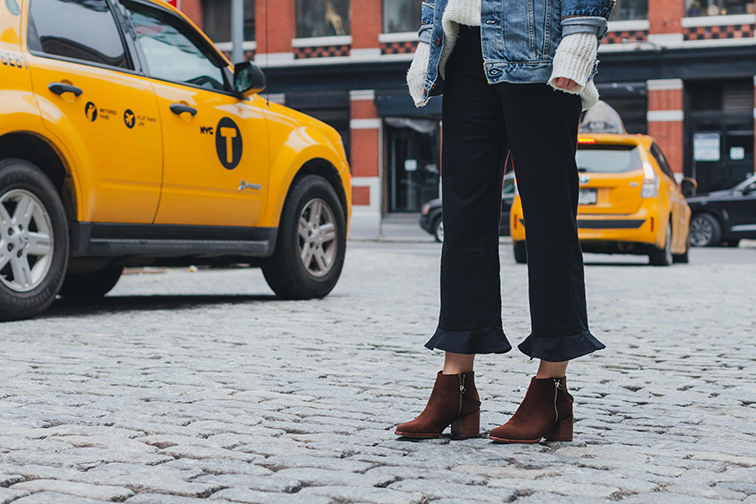 Which is precisely why I'm featuring this second pair, the Caspian booties. 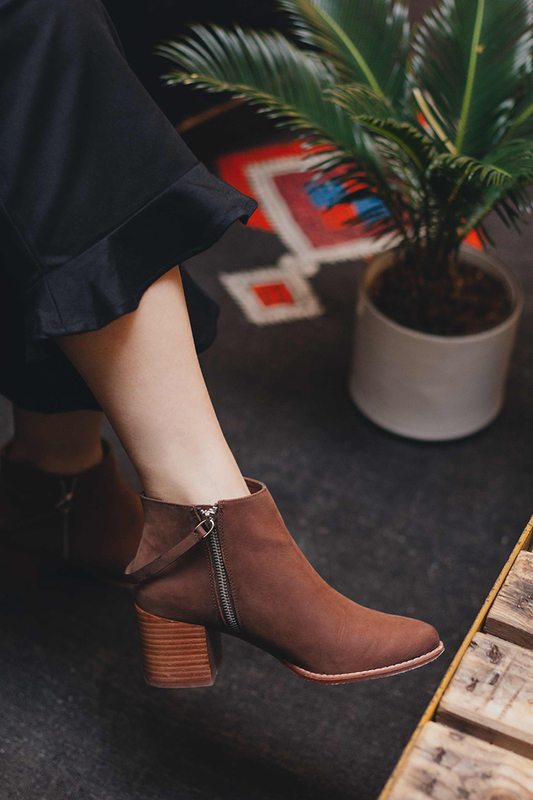 They're basically your perfect bootie, in the ideal height and the most scrumptious, versatile brown color, which is a welcome change from the regular go-to black. And if you want your own pair (or any other Matt Bernson pair, for that matter), get 30% off on any purchase from their website with code MBHELENE. 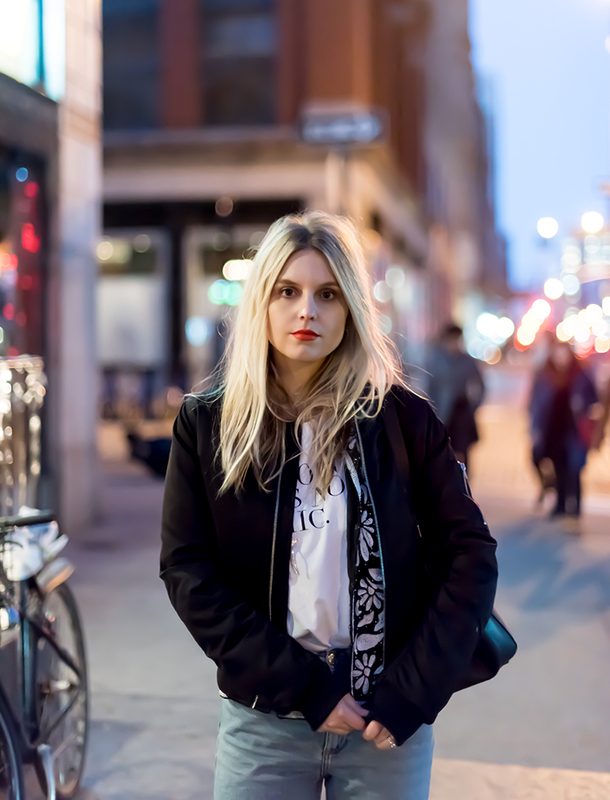 And also, check out my interview with them about all things style and my love of New York City.